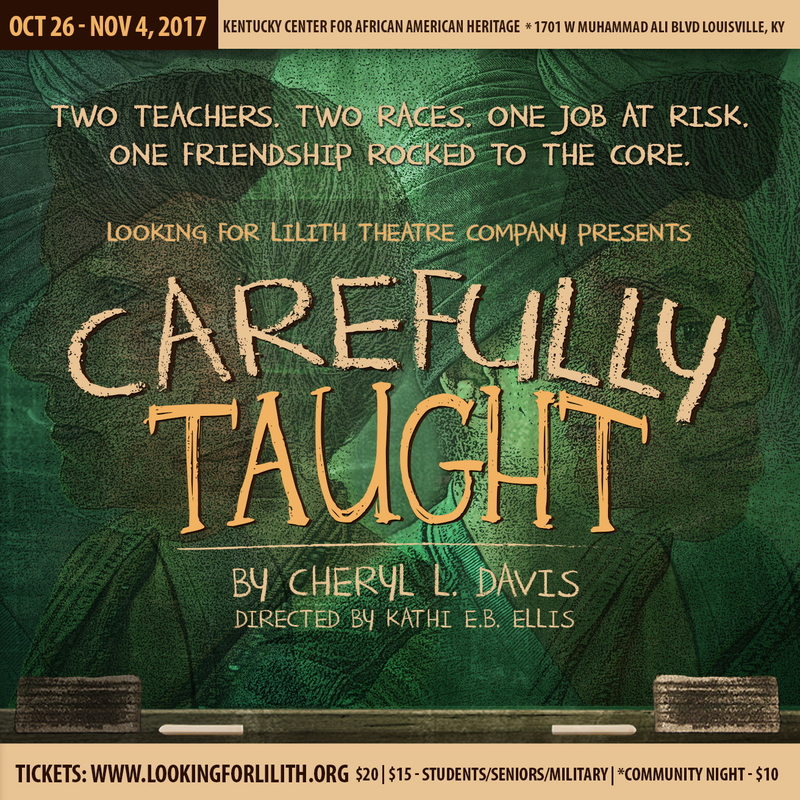 Looking for Lilith kicks off its 2017-2018 season with a regional premiere of this brand new play which debuted in Brooklyn in the fall of 2015. A Queen’s Gazette review of the premiere states, “It leaves us asking questions about loyalty and what fosters prejudice.” LFL’s production is only the second production of Carefully Taught, and reunites production director Kathi E.B. Ellis with playwright Davis, whose work, Color of Justice, she directed for the Juneteenth Legacy Theatre. Following the Fall 2015 original Prevailing Winds, LFL’s commitment to Carefully Taught expands its engagement with issues of racial justice, including a new partnership with the Kentucky Center for African American Heritage, Talk-backs and other community engagement activities in relation to Carefully Taught and LFL's Racial Justice Initiative are being organized; information will be posted at www.lookingforlilith.org.